On Monday, 20th of June, four of us travelled to Oberpfaffenhofen, which is located near Munich, for our CDR. On the way down we visited the Flugwerft Schleißheim, an aerospace exhibition with lots and lots of interesting planes from the history of flying, including parts of the Europa rocket. When we arrived at the hotel, we met the other teams and had a lovely evening at the Wörthsee lake. 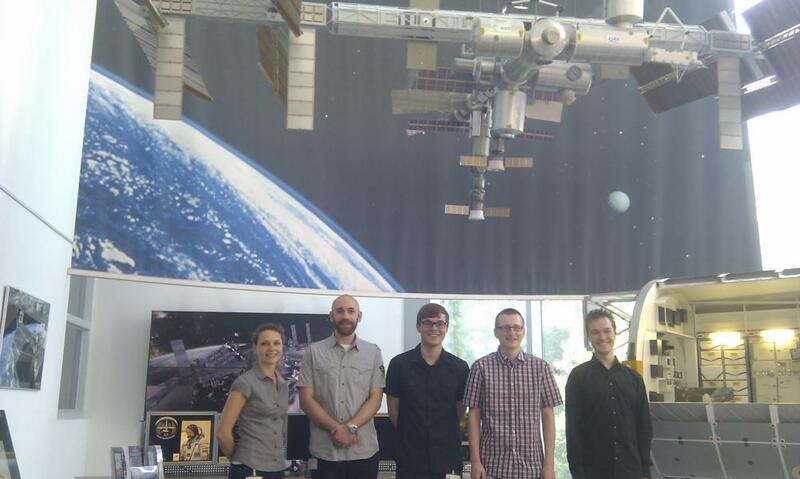 The next day we went to the DLR site at Oberpfaffenhofen, which is one of Germany’s largest research centers, to attend to several interesting lectures and visit the GSOC (German Space Operations Center). Furthermore, the following “Ask your Expert”-Session was really helpful and we got some good advice. Finally, in the evening we had a common dinner with all teams and experts at the lake. On Wednesday morning our fifth team member arrived, so we were complete to practice and present our experiment to the Review Board. The presentation went without a hitch and all in all went pretty well. In the discussion afterwards the SED (Student Experiment Document) was perused and the experts gave us some helpful recommendations and tips. Now it’s time again to wait for the CDR report before we will improve our SED with the insights of the experts. After the CDR, in the late afternoon, four of us traveled back home to Würzburg. Tobias Wahl stayed two days longer to participate in a soldering course to further his skills and learn space-proven soldering. We had a great time at the DLR and meeting all the teams again was really nice – lots of interesting conversations, topics, sightseeing and much, much more. We thank all people responsible for these experiences! In the gallery, under Critical Design Review, you can see more pictures!